Regardless of the kind of business you’re running, having good online marketing and a strong presence on the web can make or break your venture. A good copy must be original and compelling, the former being particularly difficult to achieve due to how difficult it is to stand out among many similar businesses. So, if you want a copy that will help increase the conversion rate of your business and not seem like a generic copy-pasted piece that can be seen on nearly every other website, how would you go about it? Unlike all the other services on this list, Jacob McMillen is a single man doing a whole company’s worth of work. He is a US-based specialized copywriter capable of catering to the needs of small and large businesses alike. Mr. McMillen not only writes for you, but dedicates his time to improving your website. As for the writing itself, he provides an in-depth questionnaire designed to help him gain a good understanding of what you are all about. Based on the answers given, he will write a copy that resonates well with the spirit and goal of your business. The only downside here lies in the fact that the turnaround times are significantly longer than bigger companies. As he himself states, a project of under 5 pages can take as much has 14 days, which simply may be too long for some people. However, if time is not of the essence, the copy produced by Jacob McMillen is definitely worth the wait. Crowd Source is a platform that gathers qualified writers from various websites to write your copies. These writers are required to pass a series of tests before they are able to apply for jobs. This rigorous vetting process ensures that no sub-par writers will be found here. Their versatile network of writers is capable of providing any type of content you or your company are in need of, including first-class copywriting services. These are automatically checked for plagiarism before being forwarded to you, so you can be sure that the content you get is truly 100% original. As the name of the company suggests, copywriting is Copify’s specialty. They have a large network of UK-based writers, and always make sure that the final product they provide the customer with is proofread and error-free. Copify also provides other types of written content such as product descriptions, emails, press releases and more, and delivers them in under 48 hours. Even though it only accepts experienced writers, Copify is still essentially a freelancing platform. As such, the problems that commonly occur with freelancing platforms can be found here too. Despite having a strict vetting process that supposedly ensures that only the best can work through their site, there have been numerous instances of writers not living up to the customer’s expectations. Regardless of this downside, Copify is still a good place to get your short-term projects done quickly and at an affordable price. However, if you have a flexible budget and require a long-term commitment on the writer’s part, you’d probably be better off turning to someone else. Brafton is a highly successful content marketing business that offers copywriting as part of their content creation services. It is the epitome of a professional company that can be fully entrusted with producing an excellent copy that will fulfill its purpose of increasing revenue and conversion rate. All the writers at Brafton are highly skilled professionals capable of producing quality content, regardless of what field your business deals in – finance, law, education etc. Even though the quality of their work is indisputable, their work ethics are a different story. Namely, there have been numerous reports of the company trying to keep their clients under contract in order to ensure a steady source of income. While this gilded cage is not necessarily a dealbreaker for some, others who are not seeking a long term commitment would be inclined to seek copywriting services somewhere else. 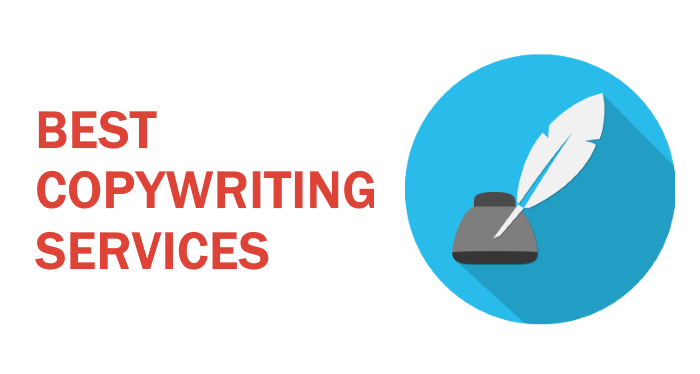 An in-house writing company composed entirely of professionals, as the name implies, offers copywriting services at quite low prices. Their services extend to SEO and a number of other content types. While they remain professional, punctual and efficient, the low price suggests that the writers are not native speakers. Even so, this doesn’t necessitate a bad copy, and their lower price tag makes it a worthwhile prospect for those working on a limited budget. Price: Starting at $0.026 per word. Get A Copywriter is a very successful copywriting service that offers an array of affordable writing services to all business branches. Their team of copywriting experts is strictly made up of native English speakers who have passed rigorous assessments before being hired. Because of this, you can be sure that those who are working on your content are meticulously evaluated and qualified. Apart from their top-level service, the company has made sure that everything they offer is available at a fair price. Copywriter Today is a company that provides any kind of written content, including quality copies for your website. They go to great lengths to ensure that their writers are fit for the job by putting them through extensive training and a 30-day trial period before hiring them. This, and the fact that all their employees are native English speakers, makes Copywriter Today a go-to company for those who are searching for reliability and quality above all else. Instead of charging for individual services, the company offers 3 subscription plans, each coming with its own set of benefits. This is an ideal payment system for those who need a continuous supply of content. Conversely, for those looking for a short term partnership, this system might be discouraging. Whether you need a regular content writer or a copywriter, be it for a smaller or larger project, ExpressWriters likely has the right person for the job. Since 2011, this company has been delivering top-notch writing services to individuals and businesses worldwide. According to their claims, their vetting system is so meticulous that only 2% manage to pass it. This is one of the reasons why the company takes such pride in their team of content experts and can guarantee a 100% satisfaction rate to any customer. As already mentioned, high quality and low price rarely go together. Since Express Writers is one of the best content and copywriting services in the business, it is only natural that their prices would be higher. This, however, is not a downside if quality is your top priority. Text Royal is another UK-based platform that specializes in delivering high-quality copywriting services to its customer. Their team is made up of professional, native English writers with years of experience who are always ready to take on a new project, regardless of its subject or scale. With them, you can rest assured that all the content you get was custom made especially for you, 100% original, and certified by Copy Scrape. Finding a downside to Text Royal has proven difficult due to thousands of satisfied customers from all corners of the world. Their impeccable performance has managed to propel Text Royal to the first place on this list. Price: They offer 3 levels of service and charge their services per word. The price is $0.03 for Basic level, $0.036 for Standard and $0.045 for Enterprise level. The service also offers customer loyalty discounts. GoSuperb is attracting attention in the industry in all areas of content provision and is already making a name for itself in the field of copywriting for its clients. Their small but highly skilled and linguistically adept team can be counted on to provide top notch, targeted content, and what’s more, their work comes with a no-quibble money back guarantee if the grammar isn’t as immaculate as is claimed. All submissions are SEOed and put through Copyscape to ensure originality, and GoSuperb’s pricing structure ensures that any request for bespoke or niche content is met with the attention to detail and depth it deserves. A growing and emerging new player in the arena that has now spent two years providing a polished service that feels as if it’s been years in the making. The content creation is refined and targeted, and they wipe the floor with the competition in terms of price. GoSuperb have more than hit the spot – rising to the top of the copywriting pile.